Beibut Shumenov stops impressively Danny Santiago via technical knockout victory in round 9. In round 9, Beibut Shumenov started the round with a good jab while Danny Santiago always coming forward and looking for the left counter shot. 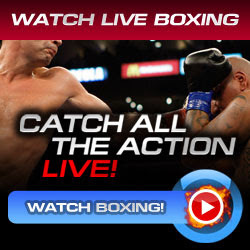 At 2:26 time in the fight, Shumenov able to connected the right hook and followed up with strong combinations coming from different angles. Shumenov continued by landing hard body shots and combinations over Santiago backing to the ropes. Referee Tony Weeks stopped the fight as Beibut Shumenov not stopping to throw hard punches and Danny Santiago not fighting back. Beibut Shumenov of Kazakhstan successfully defended his International Boxing Federation (IBF)/ World Boxing Association (WBA) Light Heavyweight World titles against the American boxer Danny Santiago. Both fighters suffered some cuts and face problems. A fight with Jean Pascal possible next? ?